You might have heard stories of animal eating humans. Yes, there have been so many incidents that have happened in the past. For example back in prehistoric times being eaten alive by some sort of beastly creatures was way too common. However, now, thankfully, things have improved somewhat for most of us. However, there are still some locations and environments beyond the control of man, where even today, these creatures roam around freely in the wild, hunting human! We have heard/seen stories of lions eating their masters at a circus and have seen various videos of crocodiles eat. Remember that famous Crocodile Hunter, Steve Irwin? Well, he was an Australian zookeeper, conservationist, and television personality who took his last breath at the age of 44, after being pierced in the heart by a stingray barb while filming an underwater documentary film titled Ocean’s Deadliest. Warning: The following pictures are graphic. The images are insanely graphic and the people who reported are in a state of shock trying to figure out what it actually is. 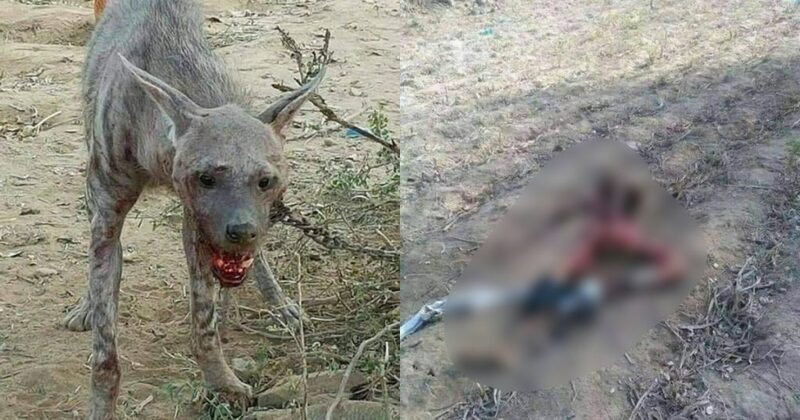 Looking at the pictures, you can clearly see that the animal has been captivated and chained after it ate the man, alive! However, chances are that this might not be true, but if it is, then the people residing in this area really need to be watchful! Not only this, but there was another video which is currently going viral on social media that has left everyone in a state of sheer curiosity! 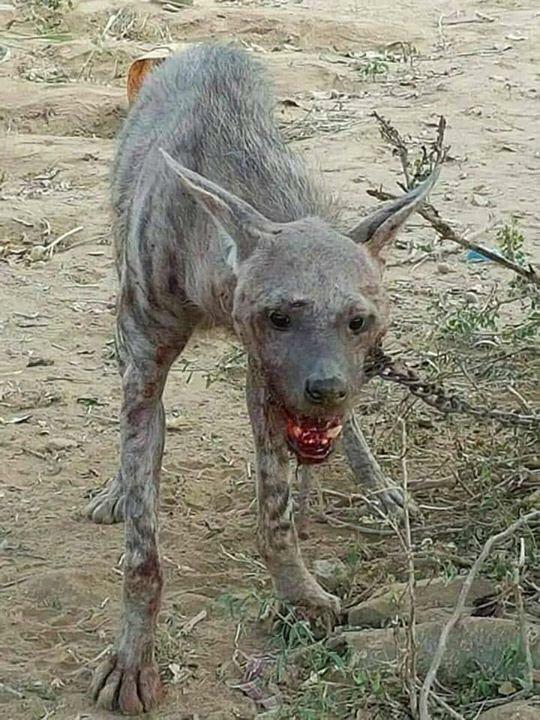 Someone captured a Striped Hyena (from what it seems like) and it was not an ordinary sight! 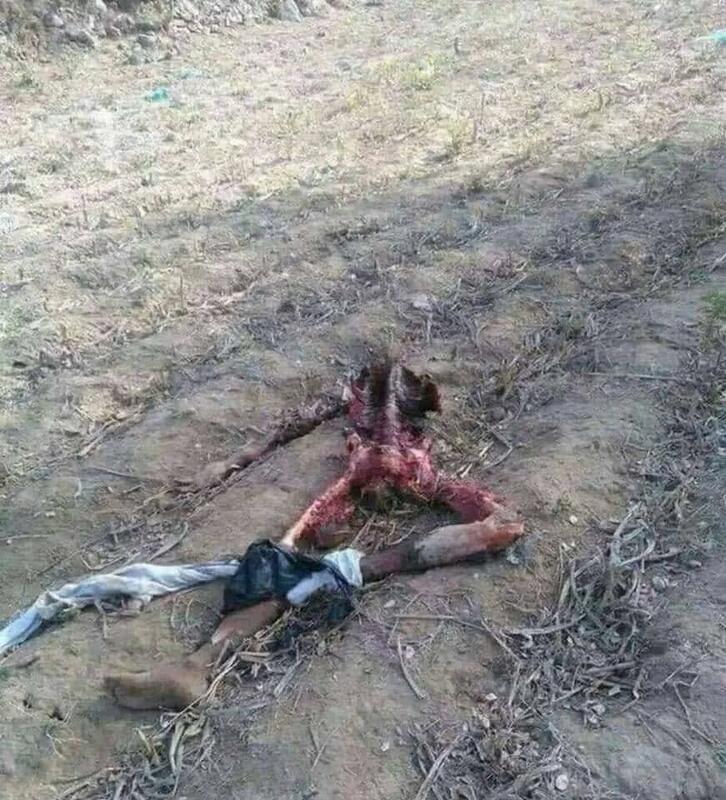 The above video is evident enough to show that this animal is not too common in Pakistan or can rarely be seen here. From the looks of it, it definitely looks like a Striped Hyena! It has been observed that carnivorous animals that hunt and eat humans are found in many different species. Also, these man-eaters are perhaps in a moment of desperation from extreme hunger, or maybe do this in their self-defense. However, such “Man-eaters” are different and at times, they intentionally stalk humans as food. Well, let’s just hope everyone stays safe from this animal and we don’t come across more of such cases. Could this be real? Or is just a rumor? Let us know in the comments below!